The 2018 Hyundai Santro is all set to be launched in India on October 23, 2018. The 'Santro' badge finally makes a comeback into the company's line-up and we can't wait to see what it's priced at. We've been waiting patiently for all the details from Hyundai about the new 2018 Santro and finally the details are out. The 2018 Santro is the most anticipated of launches in 2018 and the company is leaving no stone unturned to make it that way. 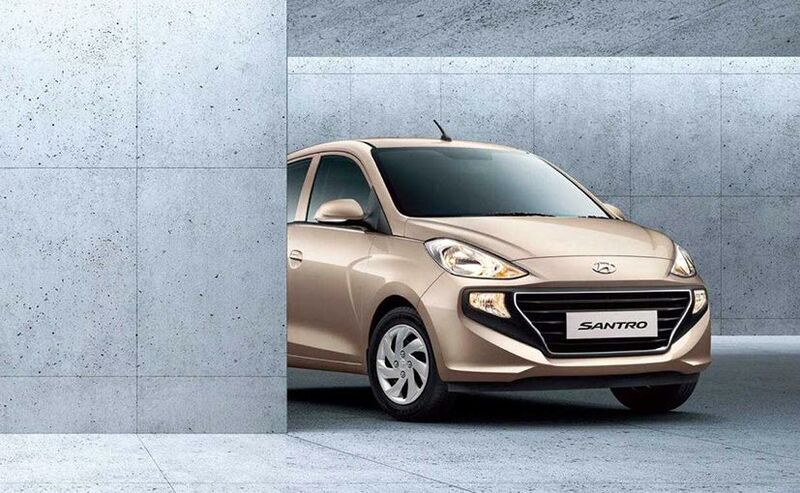 To begin with the 'Santro' badge makes a comeback to India and it's a great happenstance that this year Hyundai also celebrates the 20 year anniversary of the Santro in India. The Santro was the popular pick for the company and with the new one, the expectations have gone sky high. The 2018 Santro will launch on October 23, 2018 but we already know a lot about the car. The Hyundai Santro is a blend between a conventional hatchback and a tall-boy design (that term was made famous by the first gen Santro too). Well placed accent lines on the body, especially when viewed in profile go well with the overall design and yes, the new Santro is most certainly a lot more curvy than its predecessor. The car will come standard with a set of halogen headlamps and Hyundai will not have a projector setup and an LED daytime running light on offer just yet. The new Santro will also only come with a set of steel 14-inch wheels with wheel covers and there are no alloy wheels on offer - even on the top of the line ASTA variant. Although we cant show you what the car looks like just yet, we have had the chance to spend a good bit of time with the car and although it is not a looker in the purest sense, it will go down well with Indian audiences. 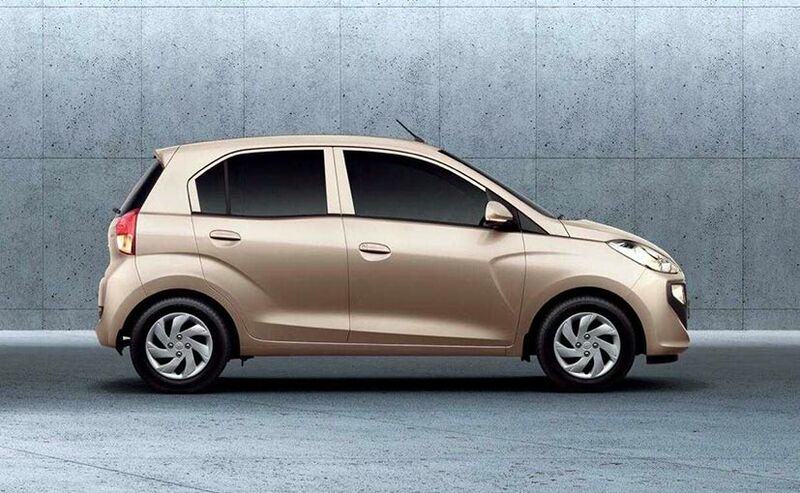 One of the biggest positives of the 2018 Hyundai Santro is the sheer amount of cabin space it offers while also offering a well built and well equipped cabin. Lets start with the rear seat and make our way to the front. Leg space is most certainly the best we have ever seen in this segment and so is the head room. Although you don't get a fold down handrest like the Renault Kwid now does, what you do get is rear AC vents - and that for India is a HUGE positive. The Santro comes as standard with a black and beige vinyl seats that are actually quite well bolstered too. Moving up front now, the new Santro for both the Sportz and the Asta model will get a 7-inch touchscreen infotainment setup that will support Bluetooth, mirror link and inbuilt navigation. More importantly though, the infotainment setup will also - for the first time in class - support Apple CarPlay and Android Auto, which will be a very important selling feature especially for the first time millennial buyer. Apart from the standard car, the 2018 Santro will also be available in a special version with a new paint shade - Diana Green, which will also have a set of green accents on the inside including the round AC vents, audio knob and around the gear lever. It will also come with a set of green seatbelts! Now, we know what you are thinking. You think this could be a very tacky version of the car, right? But no, in reality (and surprisingly), that version actually looks quite cool. Oh, and that version also gets an all-black interior with green stitching on the all-black seats. All in all, while it might not be to everyone's taste, that variant does look quite stunning. The all-new Hyundai Santro comes with a 1.1-litre, Epsilon family engine that makes 68 bhp of peak power and 99 Nm of peak torque. The engine is a 4-cylinder motor that is already ready to meet the future BS6 regulations when they kick in in 2020. The petrol engine will give 20.3 kmpl according to ARAI test figures. The new Santro will also get a factory fitted CNG option with an 8 kg capacity tank. For CNG, the engine will be down tuned to 58 bhp of peak power with the same 99 Nm of peak torque. The all-new Hyundai Santro will be launched on October 23, 2018. The bookings for the new Hyundai Santro will open on October 10, 2018 and bookings will exclusively be online. The booking amount on the new Santro will be ₹ 11,100 and the introductory prices at the time of launch will only be applicable to the first 50,000 bookings. Expect the 2018 Santro to have five variants and the base model to be priced extremely aggressively to rein in the walk-in customers to Hyundai showrooms across the country.